This entry was posted in Characters of scripture and tagged Saul of Tarsus was brilliant, Saul then Paul, The Lord Christ and Paul the apostle. Bookmark the permalink. There is not a single contemporary account of any of the tales as related by/about these two characters. Both are completely absent from the historical record. This is why Nan – and every non-believer – states that these two characters were completely unworthy of mention while alive. Everything they claimed for themselves or even deeds done as claimed by others have absolutely no evidence whatsoever to support them. Uhg. Not only is that a silly thing for Nan to say, it isn’t even true. 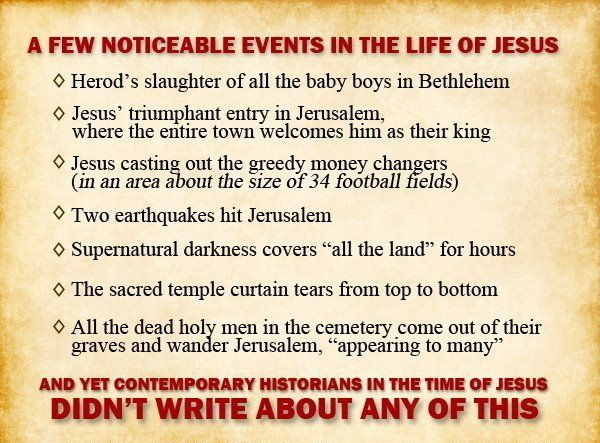 There really is a historical record outside of the bible even, that do mention both Jesus and Paul. Peter and Paul both have basilicas built over their tombs too, and while we cannot do dna tests to prove it, excavations have shown their very bones lay beneath. I would appreciate that you identify this non biblical evidence for these too characters. That info is easily accessible to you, if you actually hunger for it Ark. I have studies this material for a number of years and you are mistaken and the scholastic view and historical record backs this universally accepted scholarly view. Please identify this historical, non-biblical evidence /record. Your so called scholars who find fault with Christ or Paul? Where is my laff button. It is obvious your heroes despise scripture. God’s word is good; apparently you are not hungry for righteousness as the good lady suggests, or else you would not be harassing daylight. For the record, Nan was quoting Ken. Again … please put aside your apologetics and the indoctrinated rhetoric and identify any evidence (contemporary or otherwise) where the character Saul/Paul of Tarsus appears on the historical record. Triple like msb, and a great reminder of GOOD words, especially since ultimately God is good, and if the words of a good man are enough, how much more so God’s words. I love all the worlds references to places of healings, hospitals; St Luke’s, St John’s, etc etc, all inspired by the Great Physician. And Disney must be testimony to the historicity of Micky Mouse and Donald Duck being real. You provide a great service Doug. Comparing scripture and the life and times of the patriarchs, prophets, Christ, Paul, the gospels, epistles, and the verifiable accounts which are not doubted except by fools, with Disney of Rowling proves many things but one above all : you have zero credibility in the field of biblical expertise, but you have much skill in the realm of cameras. This is what is known as ‘being fair’ in the real world. Sadly the only fools are those who consider the texts are innerent or hold any degree of veracity above historical fiction. Again … ’tis your blog. Why not show your mettle and provide the historical evidence you claim supports the texts you so revere? You just don’t get it Doug. The scriptures are enough. When a weary traveler grabs a Gideon bible, he is not interested in what others say ABOUT scripture, wherein may be stale bread, nope he wants food, and finds it in the Bread of Life. I know many non believers who are educated on the historical lives of Jesus and Paul and they all believe they existed, I didn’t even think thinking otherwise was seriously thought. Guess I was wrong. You don’t have to believe int he super natural aspects of Jesus to know that he took the world by storm and completely upended the religious authorities in power at the time. That’s of course why they plotted to kill him and tragically succeeded. Paul of course was well noted even before his radical conversion which made him and his writings so, ahem, noteworthy. Beautiful observations Tricia, more so because they are true. Most believe there was an itinerant preacher named, Yeshua who crucified by the Romans for sedition. All regard the biblical Jesus is a fabrication., a work of narrative fiction. Most agree that 6 or 7 of the Epistles are regarded genuine – as composed by the same (Pauline) hand, even though they do have their own unique problems. Thus the word noteworthy would be an accurate description. Did your friend Doug/ark tell you to send this? Too funny. If you would think about what you are suggesting, each and every point is answered perfectly, but of course you would not like the answers. Hey ColorStorm. I guess you do not follow my blog. Sad. You could find stuff there to talk about. This is from one of my posts. To your question , no Ark did not mention your post. I guess he did not feel it important enough. If you have answers for each point mentioned, and remember the bible is not considered a valid reference because the idea is very fact it says why is these things are not mentioned else where, which is a very big deal. No, I did not. Scottie is his own man, but I will admit it is rather funny. Sheesh let the cut and paste begin. And what cut and paste are you going to provide us with this time, Wally? To Tricia: The historical characters, if they existed, did nothing of note. The ….Jesus (to know) that (he) took the world by storm and completely upended the religious authorities in power at the time. is the fabrication the religion was built upon. To CS: There is no evidence to support the scriptures outside the arena of geopolitical historical fiction. If you have evidence to demonstrate otherwise, then please provide it. If you are unable, then perhaps one of your regular readers might be able to? CS … the comment you quoted was made by Ark … not me. In MY comment, I quoted him and added my own thoughts. Look again. Yes, I agreed with him, but please give “credit” where credit is due. I’m sure Ark would appreciate it. Yes, but boy oh boy do you enjoy it. Embrace the narrative! Have fun with unbelief! Say scripture ain’t so! And I’ll continue to point out the absurdities. At least be a gentleman and apologize. Indeed. I am quite sorrowful that such nonsense even needs pointed out, as some assert that Moses, Christ, Paul, Lazarus, Apollo’s, Titus, Noah, Daniel, were but fables and no more relevant than David Letterman. Well, you are one that puts the metaphorical cart before the horse so naturally, if it’s on the bible, then it must be true. I feel obliged to ask what you think of the books that were removed from the Catholic Bible? Or, even the Gospel of Thomas, discovered after the canon was deemed done and dusted? Most creative, John. I quite like it. The biblical character Jesus of Nazareth and Paul of Tarsus were noteworthy, in the same manner that Robin Hood, King Arthur and Harry Potter were noteworthy. On this point I agree. But as verifiable historical characters, the individual to whom the 6 or 7 letters are attributed to does not feature in the historical record. Neither does the biblical character, Jesus of Nazareth. My post addresses such myopia. Your post is an illustration of religious indoctrination. I’m sorry that is incorrect, would you like to try Sports for 200? Maybe you should reread the part about EVERY KNEE SHALL BOW. The truth has always been the enemy of lies. It’s not a good idea to be at odds with the Creator of hot and cold. Cmon, embrace the truth already and leave your arid and dusty and clumsy excuses. You demonstrate the same Ken Ham style of silliness that mainstream Christians cringe from. then I’ll stick with proper Christians. At least they proffer more interesting topics for discussions. Sounds like a plan, but you do know I do not make excuses for scripture. I have heavens word on my side……you can keep the circus opinions of Nye and Harris. You ARE an excuse for scripture, or at the very least, the reason. The perfect talking monkey, parroting gibberish dressed in a lion’s costume. A one trick pony, stubborn as a mule who thinks he is Balaam’s Donkey. You would have looked good mucking out the dinosaur pens with Noah’s kids! The thing of substance is called evidence, Wally. Something I suspect that even after these years of back and forth between us you know very well, but for reasons you probably feel uncomfortable with, you simply turn away from. Maybe if things get really tight for you – and I sincerely hope they don’t – but if they do, then you will realise that the greatest freedom is the freedom to accept responsibility. As for insults: They flow both ways – read your insults in this very comment. Dear John, here, prefers to couch them in his own special brand of rhetoric, but they are insults all the same. My feelings aren’t hurt in the least. What on earth gave you that impression? I am not demanding evidence of you. The evidence is all over the place. Archaeology, history , paleontology … even in scripture itself, if you know where and how to look. The question is: do you want to see it? Look rock brain. You confuse the fact that a person disagrees with you with a person having never considered evidence. They are not the same thing. Your void and incoherent world view has caused your mind to atrophy and die. Isn’t you calling me rock brain an insult? Proper evidence should stand alone from opinion. So when I write that the biblical characters Jesus of Nazareth and Saul/Paul of Tarsus do not appear anywhere in the historical record that is fact. That is evidence. It isn’t opinion. And if you disagree with it then it isn’t me that is a ”rock brain” any more than when you disagree that the earth is no more than 10,000 old. All your answers in one place. Try to think rationally and not with your usual bias, and you may have a more harmonious outcome. Enjoy. God’s word! Always spectacular when understood. Maybe if Christians understood it there would not be so many thousands of different Christian cults. Read pebble head. In your view if a person disagrees with you that means they have not considered evidence. It’s not my fault your worldview is incoherent. After all … that’s your current ”picture”, is it not? In your view if a person disagrees with you that means they have not considered evidence. No, it means they have rejected the evidence. And there is no evidence of Paul in the historical record. Please stop Doug. Your repetition of nonsense is tiresome. C’mon, John, you always back off when you are asked to step up to the plate. And there I was thinking we were having so much fun. If you are going to start hand waving as per usual then, perhaps I should go back to watching my Denzel Washington movie? If u notice, there are two groups reading this thread. One finds the content sweet because it’s credible, and has the backing of history. The second finds it bitter, not because it is not true, but because it is uncomfortable to be faced with absolute truth. I only wonder why you and yours fall into the latter group? Well now, I suggest you read the 38th of Job in the colorful language of the KJV, and try to answer the questions put forth to YOU. Be honest and try to give the Creator the courtesy of existing, and He alone has the right to ask such questions. Feel free to also consider the chapter and how Harris, DeGrasse, and Hawking would all stumble through…..if they were honest. One mighty God you must conclude, in whom are hid all treasures. I think you would be better of helping Wally find a job, don’t you? I am not saying any such thing. I am merely responding to your continual insults after you ragged on me for supposedly insulting John. Your current work status and the claimed veracity of Christianity are not related at all. And I sincerely hope you do find work soon. and I hope you find work ASAP. This is hilarious Wally. Our visitors accept the words of 2000 year old historians who said these things never happened…….. because they did not write of them…..
… but they reject the words of Luke who said they did happen. Seems a simple matter of not ‘Liking’ the ‘many infallible truths’ of scripture. Case closed. God’s word always has the drop on sinful men. Been that way since forever. And quit demanding evidence when you offer none.